The Horror Movie BBQ: WWF Hasbro Happiness! It was 1990. The 80s ended. We were looking to a new a decade for awesome toys and cool new technology. And shortly after the turn of the decade, us wrestling fans were given just that. A brand new toy line that would live on in our hearts well into our adulthood. Surely I must be referring to the WWF Hasbro line. I don't wanna give away the surprise, but I'm positive that kid went on to become Nick Meece. 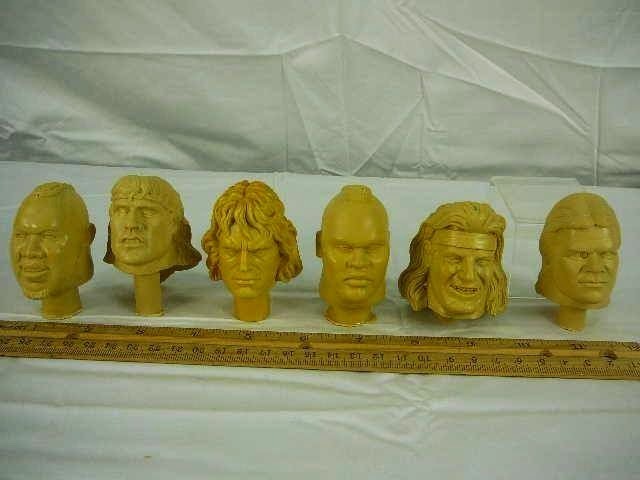 These bright and shiny representations of our favorite SuperStars of the day were some of the best representations in wrestling history. I mean, look at the landscape of the business at the time: cartoony, comic booky, gimmicky characters. 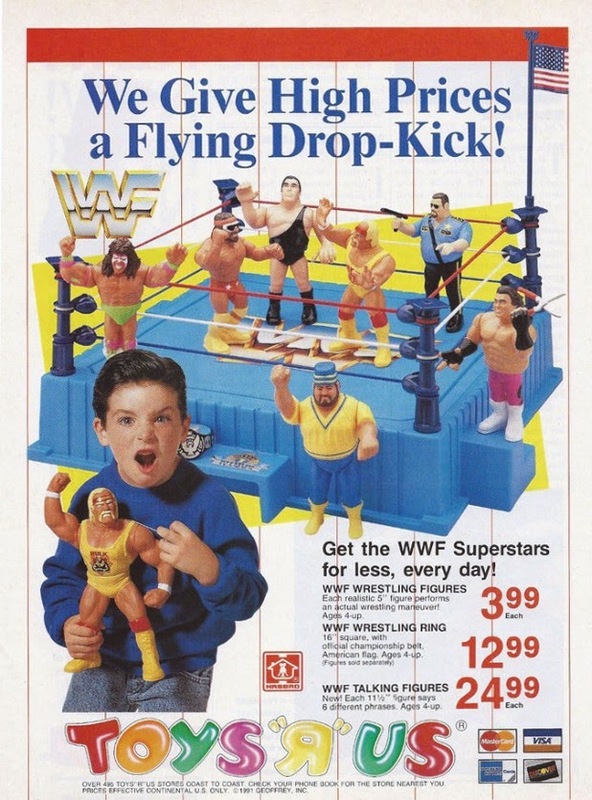 Hasbro and WWF were made for each other. At a time when toys weren't made for collectible value or made to be admired for their playability. And boy did we play with these. I've rarely seen a figure without scuff marks or paint missing. These things were played with HARD. I mean they were enjoyed to the fullest by WWF fans of all ages. And if you're lucky, the special action mechanisms will still work today. Oh boy...I have to believe even the great powerful Oz McMahon had no clue how much mileage the he would get out of the Undertaker starting in 1990. Yes. 25 fricking years ago. This was his first figure and first major piece of merchandising. Taker is a big boy so Hasbro needed to use a wider body sculpt for his tall lanky body. His "Tombstone Tackle" is a pretty good feature for him to have, although it's always been a challenge to do his famous move, The Tombstone Piledriver. Back at this point, Taker also looked like an overgrown gothic ginger, so the figures head sculpt reflects that perfectly. Especially the bags under his eyes. Because...he's dead. So there's that. In my opinion, this is the best Hasbro figure we got. 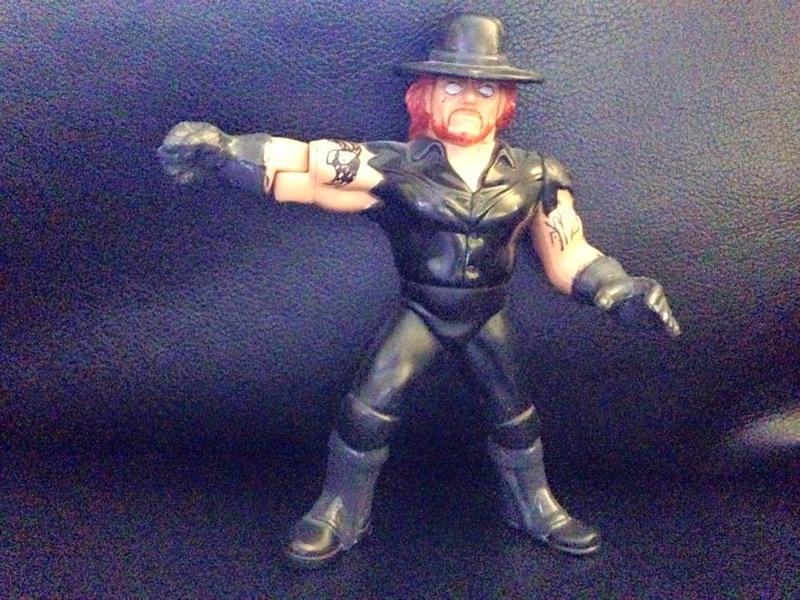 And yes, I'm aware that's not what every Undertaker figure looks like. My Undertaker has been kicking around since 1992, so he's been beaten up so bad, I wanted to touch up his paint, give him some tattoos and white his eyes. Ahh! Roddy's been a lifelong hero of mine. I always admired him for his never say die attitude. For a guy in a skirt, he's one tough S.O.B. 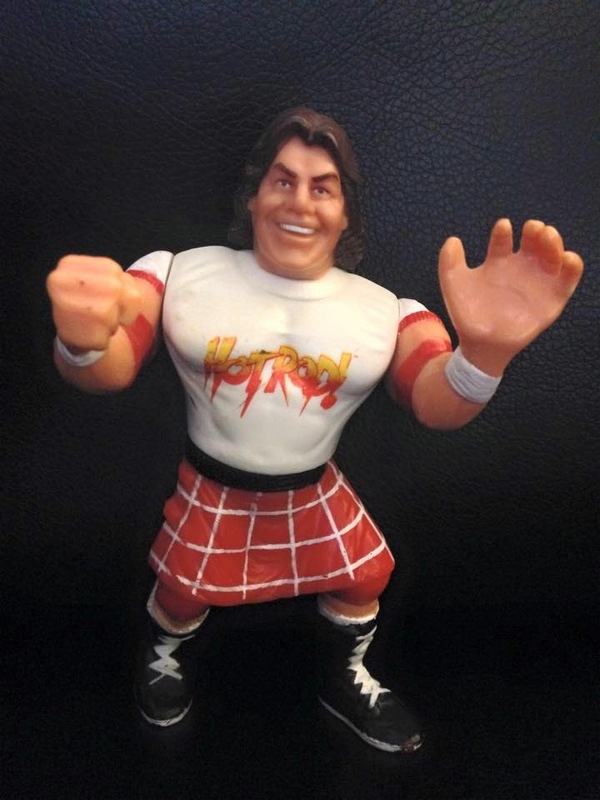 Roddy has also had a LOT of figures since 1984. I mean a LOT. All of them have always reflected a certain period and this reflected the ealry 90s when he had dreamy flowing shoulder length hair and a bad hip. To be fair, this may be my favorite figure ever made of the Hot Rod. It has that "Roddy's about to drop a smartass comment" look that he was known for. Which made it fun for play value, considering you needed someone to talk crap to other wrestlers. His famous kilt and iconic Hot Rod shirt are also present which makes this figure even better. If you want my opinion, this is the Hot Rod figure to own! No stranger to the Hasbro brand, Sarge popped up in this line shortly after being phased out of GI Joe. Thankfully by this time, he had went from Iraqi sympathizer to Yankee Doodle, because I highly doubt anyone would have wanted to remember Sarge at his worse. 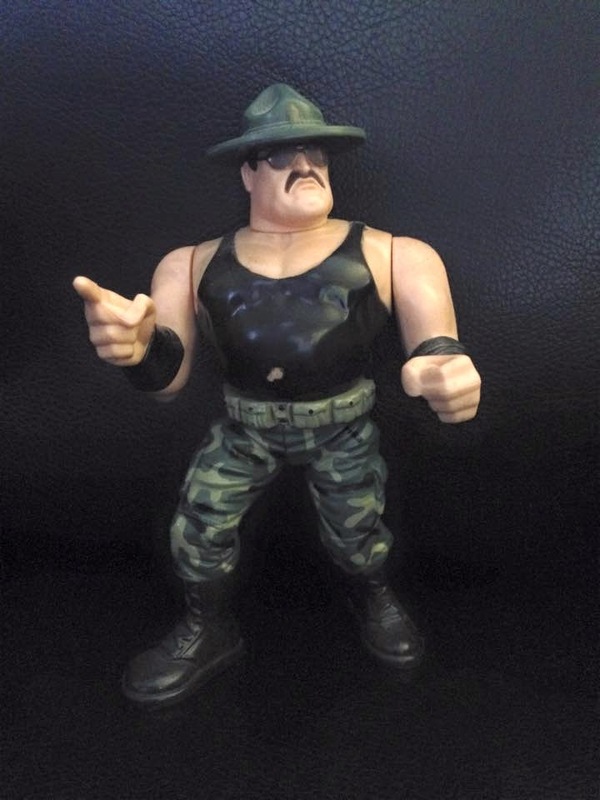 Much like Roddy, this is my personal favorite figure of Sgt Slaughter, as I previously did a glowing review of his figure before. In fact, I'd go as far as saying this is my favorite of the entire Hasbro line. His stance, his face sculpt, his "Sgt. Salute" pose, and his gut reflecting his physique. Perfect. It's a great figure and quite frankly fits in on any shelf whether your a nostalgia fan, a wrestling fan, or a GI Joe fan. Good ol' Ray Traylor! He went from fat villanous cop to thinner good guy in a matter of a few years. He wasn't the best wrestler on the planet but boy, he sure was fun to watch. 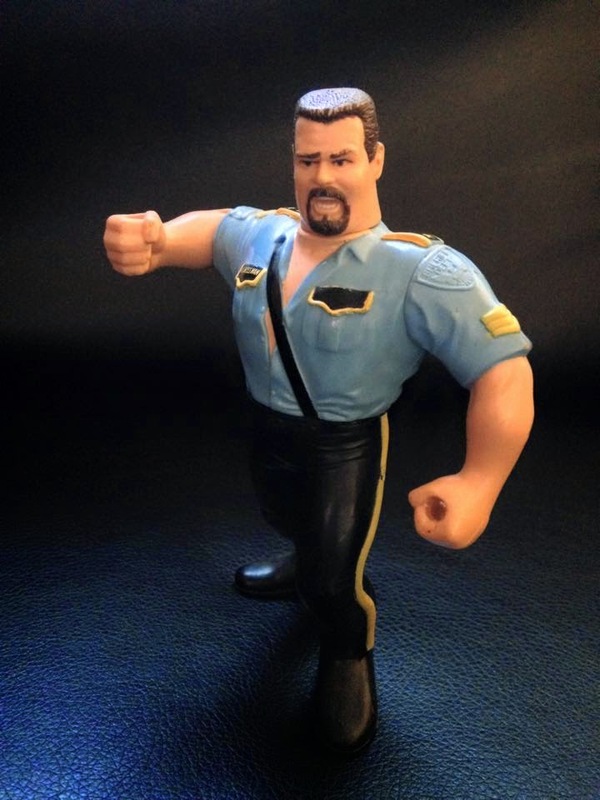 This figure represents his days as a happy cop who made bad guys serve hard time, as opposed to his first figure that was much fatter and a bland look on his face. His clothesline action may be the best fit for a figure considering his finisher was a scoop slam(in which a wrestler grabs his opponent across the chest and slams him down). And his scowl was a good fit as well. Bossman had a lot of charisma and instead of the villanous heel, which he was great at, I prefer to remember him as the friendly, jolly cop. Also, his head sculpt made for a good Taz custom figure. I speak from experience. Hasbro released a lot of great tag teams at that time. Nasty Boys, Natural Disasters, Rockers, even the Bushwackers, they all looked great! But no team in the history of pro wrestling can stack up to Demolition. 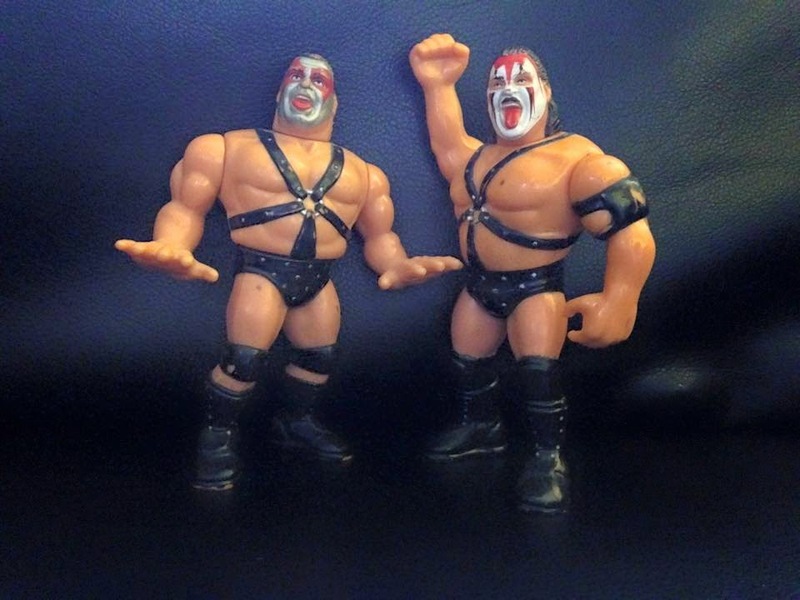 Of course, I'm biased since they are my all time favorite tag team but the chest sculpts, the face paints, the tongues sticking out, these two win any tag battle royal I had as a kid. 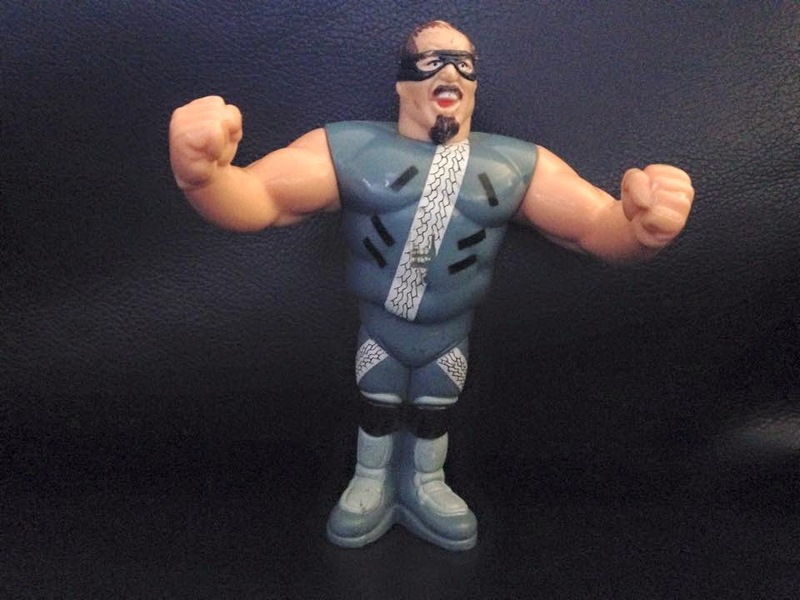 Crush was also added to the mix around this time and was given a figure, but to me, he doesn't exist as a member of Demolition. The Crush figure was pretty good but Ax and Smash's figures stand fine on their own. 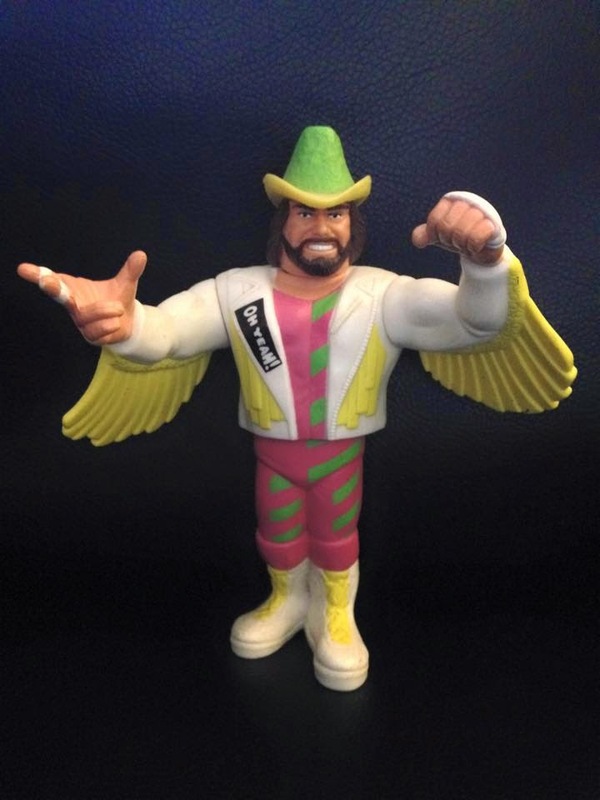 Monumental childhood icon and one of the greatest wrestlers ever, this figure shows off Randy's psychedelic "space cowboy" phase from the early 90s which aside from his "Macho King" era, this is my favorite era of Randy's career. Complete with "jumping" power to replicate Randy's high flying ability and his "freak out, freak out" look on his face and the first without his famous acid drop sunglasses, this is one Randy Savage that can't be denied. If you brought this to play at your friends house, there's a chance you'd win any and all battles. Plus, doing promos would be a hoot. At age 10, you'd prolly be able to do a more coherent promo than he could. One of my all time favorite gimmicks. Formerly known as Smash of Demolition, Barry Darsow was given a gimmick where he stole things, snuck around the ring and wore an awesome trenchcoat that spelled out his name in stolen license plates. It was a fun gimmick especially at a time when gimmicks were overrunning the company and strangling the rules of what wrestling company should consist of. But much like PN News did in WCW, Repo Man stood out in a fun way. He never really did much outside of laughing at Virgil for being poor and stealing Macho Man's hat, but man, he had fun doing it. Oh and he essentially was imitating Frank Gorshin as the Riddler from Batman. So that was even better.